Around 47 million Americans are expected to bet on this year's NCAA men's basketball tournament. That's according to a survey from the American Gaming Association. Sarah Slane senior vice president of the organization. She says states like Michigan – where betting is illegal – are missing out on revenue. "It highlights the fact that yes, while it may be illegal, there is the opportunity now to make it legal, and to regulate it, and to recapture that tax revenue," Slane said. Bill Miller is president and CEO of the AGA. He says policymakers across the country are now realizing the benefits of a legal betting market. "They believe number one, their constituents want it. And number two, there is significant revenue for the state to benefit," Miller said. 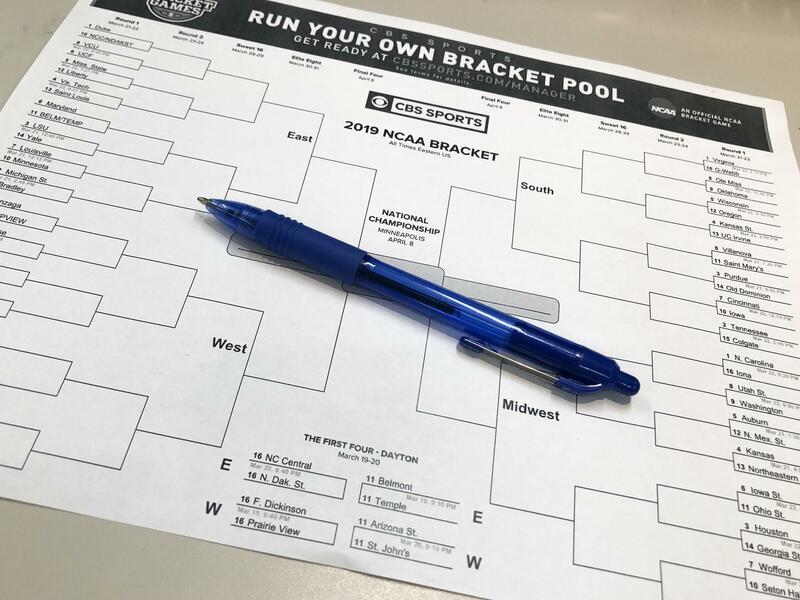 The AGA expects 21% of Michiganders will fill out brackets or bet on games during the tournament. Approximately $8.5 billion is expected to be wagered across the country during March Madness. President Obama, known as the first basketball fan in the White House, filled out his brackets for the NCAA men's basketball tournament yesterday. He picked Michigan State to win it all. "It's been awhile since Izzo won one," he said.